If you're looking forward to buying a luxurious sedan, the Chrysler 300 2012 is one pretty much amongst the most interesting choices available. The 2012 model boasts a new engine, a significant change in terms of looks, a heavily revised interior and state of the art technologies. One of the most interesting changes brought by the Chrysler 300 2012 is the fact that both the 2.7 and 3.5 liter v6 engines found on its predecessor have been ditched. Instead, the new Chrysler 300 comes with a 3.6 liter Pentastar V6 unit developing 292 horsepower and 260 lb-ft of torque. The 3.6 liter engine is mated with an eight-speed automatic ZF transmission similar to that found in the Audi A8, and the entire package is able to accelerate the Chrysler 300 2012 from 0 to 60 in about 6 seconds. As far as fuel economy goes, the 3.6 liter is able to cover 19 mpg city and 31 mpg highway. 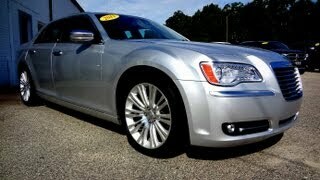 A more powerful option is the 5.7 liter Hemi engine found in the previous model. The unit is paired with a five speed automatic gearbox and delivers 363 horsepower and 394 lb-ft of torque. In terms of fuel economy the rear-wheel drive Hemi covers 16 mpg city and 25 mpg highway, while the AWD version will cover 15/23 mpg. On the exterior the Chrysler 300 2012 received a notable facelift, the most striking change being at the front end where the new Chrysler 300 dropped the Bentley look. At the rear end the Chrysler 300 2012 sports a couple of LED taillights, a redesigned rear bumper as well as a reshaped trunk lid. 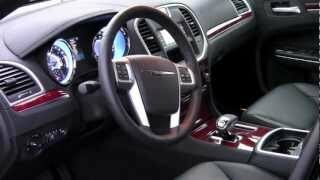 Furthermore the Chrysler 300 2012 comes with a choice of six trim levels. The base model comes with the 3.6 liter V8, keyless Enter'n Go system, interior LED lights, a six-speaker sound system, Uconnect Touch media center, power adjustable driver seat, dual-zone climate control, a set of 17-inch aluminum wheels and hill start assist. Next in line is the Limited edition featuring heated front seats, voice activation Uconnect system, fog lamps, chrome mirrors, a set of 18-inch chrome-clad wheels, leather upholstery and remote start. In addition to what the Limited edition brings to the table, the Chrysler 300 S V6 comes with an 8.4 inch display, shift paddles on the steering wheel, a 10 speaker sound system, sportier suspensions and performance tires. The next two trim levels bring the Hemi V8 engine, leather upholstery, leather-wrapped steering wheel, heated rear seats, wood trims, heated/cooled cup holders, SmartBeam headlights, power adjustable pedals, performance tires and a touring suspension system. Last but not list, the Luxury series brings more chrome to the exterior, a set of 19 or 20 inch polished wheels, leather upholstery on door panels, center console, seats and dashboard and pre mocha wood trims. 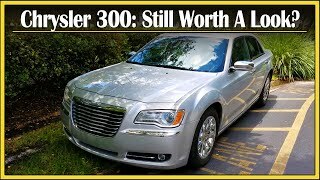 As for pricing, the Chrysler 300 2012 wears a base price tag of $27,170, roughly $4,500 cheaper than the 2012 Nissan Maxima, $3,000 less than the Buick LaCrosse and $6,000 more accessible than the 2012 Toyota Avalon.